In MicroStation CONNECT Edition the old Element Information dialog has been renamed Properties. Continuing the trend we saw in MicroStation V8i (SELECTseries 3) this new Properties dialog is used for displaying properties for more than just elements. This now applies to Model Properties. Looking at this dialog you will notice that there are additional settings available. Models have always supported different working units, but you had to go to the Design File Settings dialog to set them previously. That setting is now part of the Model Properties dialog. 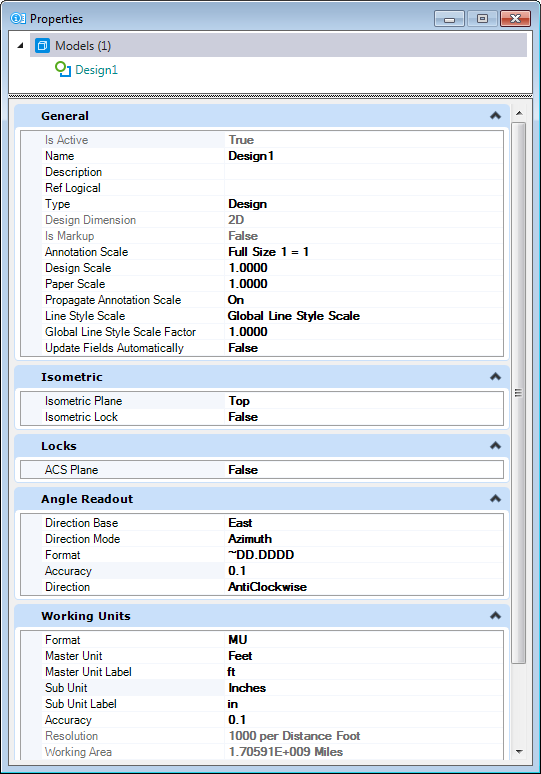 You may now also set Angle Readout, Working Unit Accuracy, along with selected locks on a per model basis.